Home » Bathroom Help Category -- Also note those subcategories in the orange navigation, above! 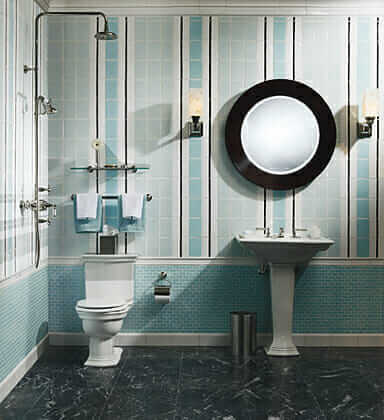 » bathroom tile help & ideas » Did they make glass mosaic tiles in the 1950s and 1960s? Did they make glass mosaic tiles in the 1950s and 1960s? Did they make glass mosaic tile in the 1950s and 1960s? Reader Christa wrote me to ask… I hazard an answer… and I provide some resources — for ceramic mosaics. I hope you don’t mind my reaching out to you for a little tile advice. I need to do some tiling, and I was looking for tiles that will look as though they could have been original to the house – 1958. But I don’t need to match existing (the ones in place are from the 80s and best forgotten). My question for you is, do you know where I can find out more about the real mosaics used in the 50s and 60s? Would they have used the opaque glass (sort of like milk glass) or did they only use ceramic? I want the small 1″ (give or take) size with little or no pattern. Do you have any suggestions on where to look? I know about Chippy, but the website isn’t very good and I’m on the west coast so I can’t visit her. 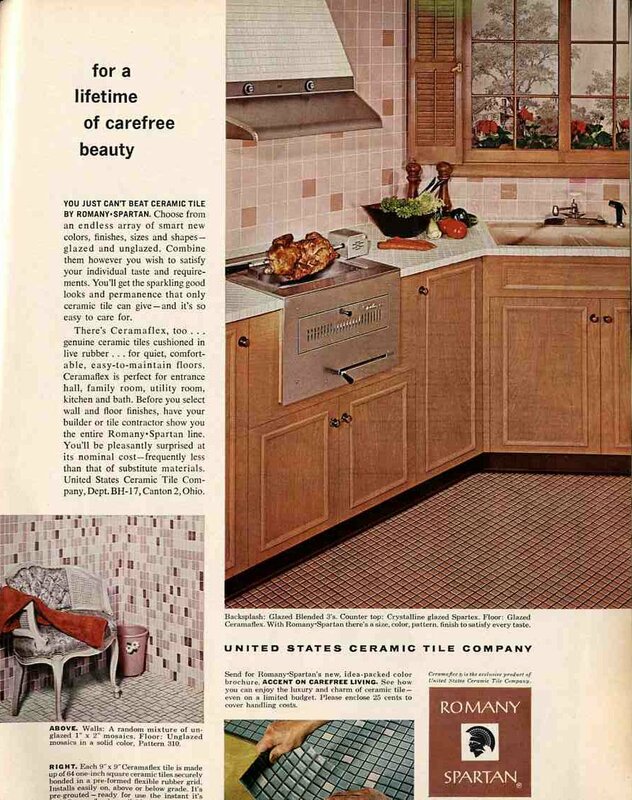 1964 — Tile was pretty popular, I think. Spartany Roman was a big national brand, I think. Q. 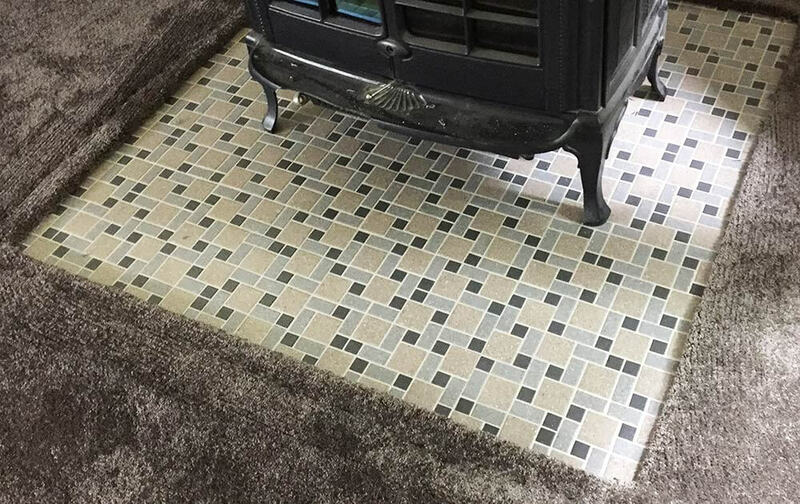 Did they make mosaic tile out glass — or just ceramic — in mid century America? A: I don’t know. Not for sure. Requires real research. But I *know* they made ceramic mosaic tile — I’ve seen lots of that… and on the other hand, I have never *yet* seen any glass mosaics. That said, it may be that an opaque glass small mosaic tile may not look all that different from a glossy glazed ceramic small mosaic. In addition, many readers today like the look of the glass mosaics available today — they are so colorful, so pretty. So, they are incorporating them into their remodels to create a retro-modern mix. Bottom line: Look around — and make the choice that’s right for you. 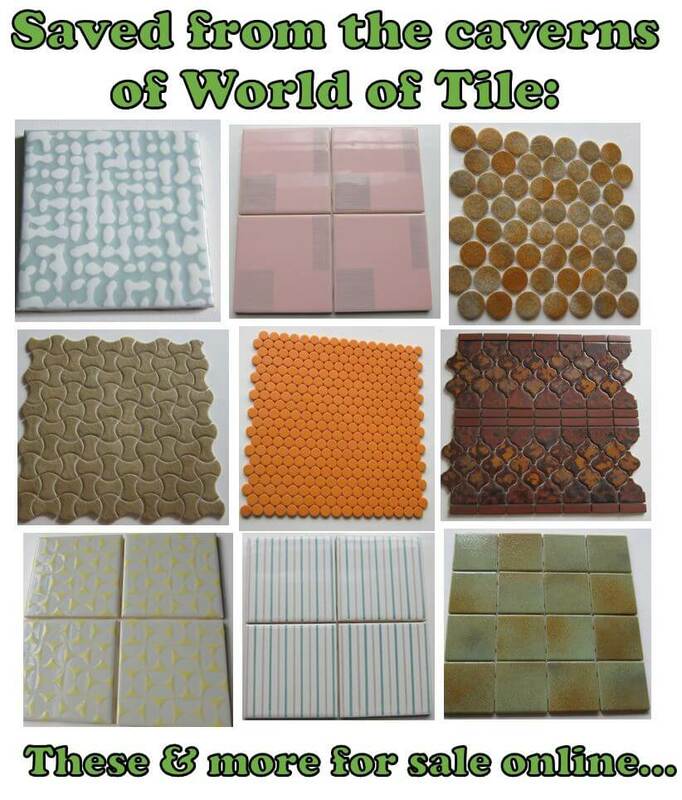 Christa mentions World of Tile. I do not think that any of the mosaics in Chippy’s mosaic room are glass. If you want to see fairly larged sized photos of the mosaic room and the designs available, see this story and go straight down to the slide show. My first go-to source would be the Daltile Keystones collection, with their 1″ mosaic size (there are other sizes, too). 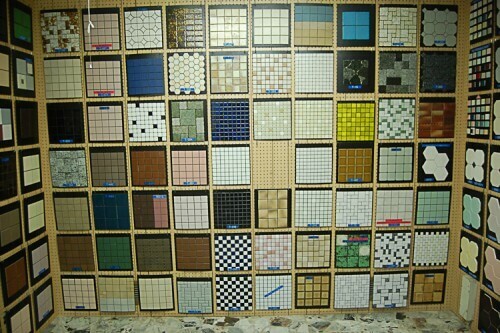 Daltile is widely available — I think you can get it from big box stores or from a tile store of any significance. I am guessing these are not too expensive. Several readers have used Daltile Keystones in their remodels — put Daltile Keystone into the blog SEARCH box and, voila! you will get to those stories. I also like the look of the 1/2″ Athena mosaics — when these first came out, I counted 41 colors. In addition, Daltile has an online tool that allows you to mix your own mosaic patterns. But, if you intend to use this — take the url with you to the store, because the stores don’t know about it, readers repeatedly report. Note, Lauren used the tool — her bathroom floor, which was designed to coordinate with the original wall tile — turned out great! Was penny tile used in 1950s bathrooms? I am having trouble finding reliable information about this online. Our house is a colonial built in 1950 and we are trying to find something retro-modern that fits the 1950s era.